Bobby “Blitz” Ellsworth comments, “It was a blast making The Wings of War! It is something old feeling new again, as our chemistry was altered by the addition of Jason Bittner. I was curious from the get-go, how would it pan out? I think what we accomplished here is a new, upgraded Overkill that embraced the new chemistry while taking our roots into the present. The new formula produced not only more raw power but more places to go with melody, a win, win. The key is being not only interested in the change but part of it. I’ll tell you what, it’s still fun as hell making Overkill records. 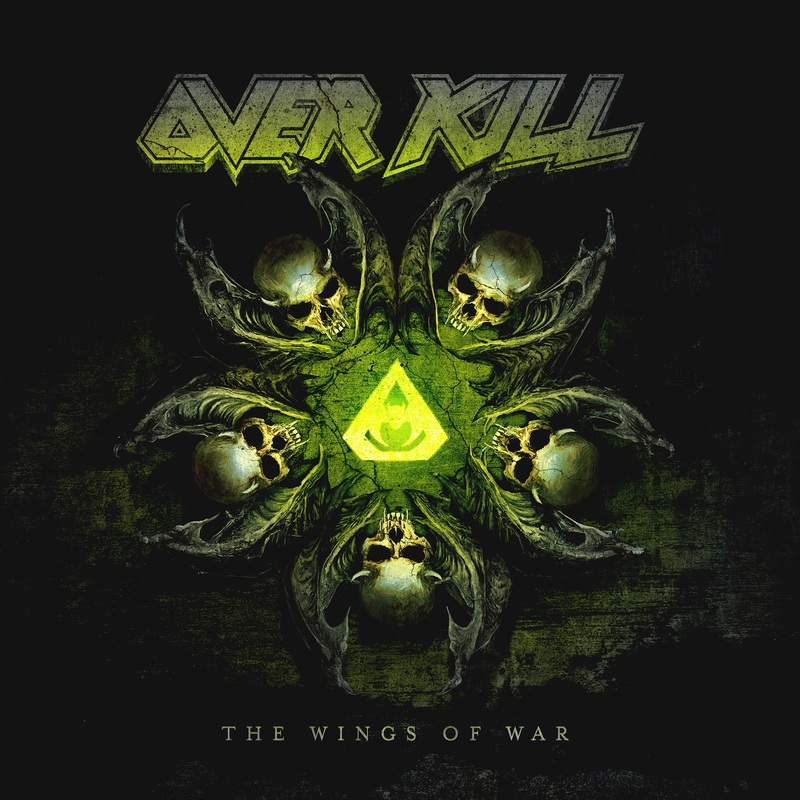 The Wings Of War was recorded at Gear Recording Studio in New Jersey, SKH Studio in Florida and Jrod Productions with engineering handled by DD and Dave. The album was produced by the band while Chris “Zeuss” Harris.handled the mixing and mastering. Travis Smith (NEVERMORE, OPETH, SOILWORK, DEATH…) was once again enlisted to create the artwork for the album.